Welcome to my post on the Finding Armor Blog Tour. Check out my review and the giveaway. 4 Stars – ⭐⭐⭐⭐ This book is a poignant, insightful story about the struggles faced by those who have illegally crossed the border into the United States for a better life and to reunite with family. Eight year old Emmanuel crosses the border to escape a bad life in his home country, El Salvador. Between the way he is treated by his aunt and uncle and the gangs that force young children to join, his great-grandmother convinces his mother (she escaped to the US 7 years earlier), that she needs to get him out, now! Faced with the dangers from the crossing, and being arrested as he enters the country, he is worried he will never be reunited with his mother. They finally get together and Emmanuel moves to Virginia to live with his mother and her boyfriend. The challenges that his mother faces living as an illegal in the US make their life difficult, but with help from others, they survive. I found this book got more interesting as the story progressed. As I got to know the characters, especially Emmanuel, I became invested in his story. There is also a second story line going on involving a well-off white, upper middle class woman named Lauren. As her story weaves together with Emmanuel’s it made me rethink my life and my views. The cultural references in this book are plentiful. They are well written and I learned a lot about the Latino culture. Unfortunately, this is where I had one issue with the book. There was a lot of the conversation written in Spanish. I speak absolutely no Spanish and often lost the flow of the story, checking the translation provided. I enjoyed this book and was planning the story in my head as I was sure I knew what was going to happen. I don’t know if I am correct, because this book ends on a cliffhanger, so I will have to wait to see what is next for Emmanuel, Ana (his mother), Lauren and Peter as well as all the other friends and acquaintances that I met in this story. With so much going on in the US involving illegal border crossings, illegal aliens, deportations, separating families and more, this is a very timely and emotional story. I recommend this one to anyone wanting to get a different perspective on these issues, as well as anyone who enjoys a good Christian Fiction story. About the Author: Allison K. Garcia is a Licensed Professional Counselor, but she has wanted to be a writer ever since she could hold a pencil. 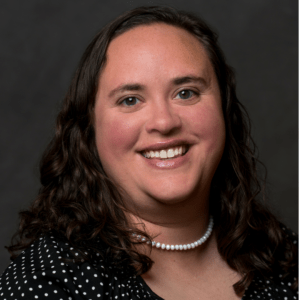 She is a member of American Christian Fiction Writers, Shenandoah Valley Writers, Virginia Writers Club, and is Municipal Liaison for Shenandoah Valley NaNoWriMo. Allison’s short story, “At Heart,” was published in the Winter 2013 edition of From the Depths literary magazine, along with her flash fiction. Her work, “You Shall Receive,” was published in GrayHaven Comics’s 2014 All Women’s anthology. Winning an honorary mention in the ACFW Virginia 2015 short story contest, “Just Another Navidad” was published in A bit of Christmas. Allison’s book, Vivir el Dream, published May 2017, has won several prestigious awards: 2016 ACFW Genesis Contest Finalist, 2018 Eric J. Hoffer Montaigne Medal Finalist, Honorary Mention in the 2018 Eric. J. Hoffer Awards E-book category, and 2018 IAN Book of the Year Awards Finalist in the Christian/Religious Fiction category. 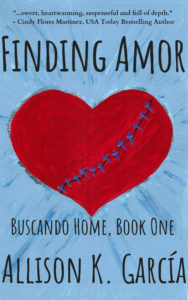 Her highly-anticipated novel, Finding Amor, was released in September 2018. Thank you, Carla, for this wonderful and insightful review!!! You are very welcome. When will the next one be coming out? I want to know what is going to happen to Emmanuel and Ana. This sounds like a wonderful and very relevant story, Carla. Thanks for sharing! It is definitely very relevant right now. Thanks Jennifer. I learned a lot from this story and I ache for all the people who are in this situation. Great review, Carla. I also like what you said about a different perspective. I am afraid I might be lost if much of it is written in a different translation. Thanks Michelle. It is only some of the conversation that is in Spanish, not all. Fortunately the translations are right at the bottom of the page. Having the translation at the bottom of the page is a huge help. Thanks! This does sound like an interesting read. Definitely a relevant topic, and hopefully the kind of book that offers “the other side of the story” that so many don’t see or choose to ignore. Growing up in a highly agricultural area in California, I used to ride the bus to school with the children from the migrant camps, so it’s an issue that is near and dear to my heart. Great review, Carla! I think it is one that you would probably enjoy Myndi. It was a real eye opener for me. Oh my goodness! This sounds like an incredible story. I don’t know how I missed it when you first posted! I’m going to have to find it! Thank you! I hope you get a chance to read it. It is so timely.